Singer Justin Bieber, top right, appears to be walking unsteadily during a sobriety test at a police station in Miami Beach, Fla., after his arrest Jan. 23. Former NFL star Aaron Hernandez has been involved in a jail altercation with another inmate, but neither man required medical attention, a Massachusetts sheriff said Wednesday. The altercation took place around noon Tuesday in a common area of the Bristol County House of Correction in Dartmouth, where only one inmate is supposed to be out of his cell at a time, Sheriff Thomas Hodgson said. It’s unclear which inmate was the aggressor. Hodgson said jail staff are interviewing witnesses and reviewing surveillance video to figure out exactly what happened and determine whether disciplinary measures or even criminal charges are warranted. The jail is also reviewing procedures to figure out how the two inmates were allowed out of their cells at the same time. Hodgson did not release the other inmate’s name. Hernandez, a former New England Patriots tight end, is being held without bail after pleading not guilty to murder in the death of 27-year-old Odin Lloyd, who was dating the sister of Hernandez’s fiancée. Mila Kunis is out and Amanda Seyfried is in for the sequel to Seth MacFarlane’s raunchy 2012 hit, “Ted,” according to reports. In the original film, Kunis was the love interest of Mark Wahlberg, a man whose best friend was a foul-mouthed teddy bear (voiced by MacFarlane). Kunis, often a saucy presence in romantic comedies like “Friends With Benefits,” may have a small role in the sequel. Seyfried has often played angelic blondes (“Mamma Mia!,” “Red Riding Hood”) but recently shed that image by starring in “Lovelace,” a biopic of adult-film star Linda Lovelace. Bill de Blasio appears ready for his close-up. New York City’s new mayor will be making an appearance on the small screen. He has a guest appearance slated on the show “The Good Wife.” The episode is to air March 16. De Blasio said he and his wife, Chirlane McCray, are “deeply obsessed” with the CBS political drama. He said Tuesday that he was thrilled to meet the cast, which includes Julianna Margulies. De Blasio’s predecessor, Michael Bloomberg, appeared on the show last year. Video of Justin Bieber made at a South Florida police station after his January arrest shows him walking unsteadily during a sobriety test. 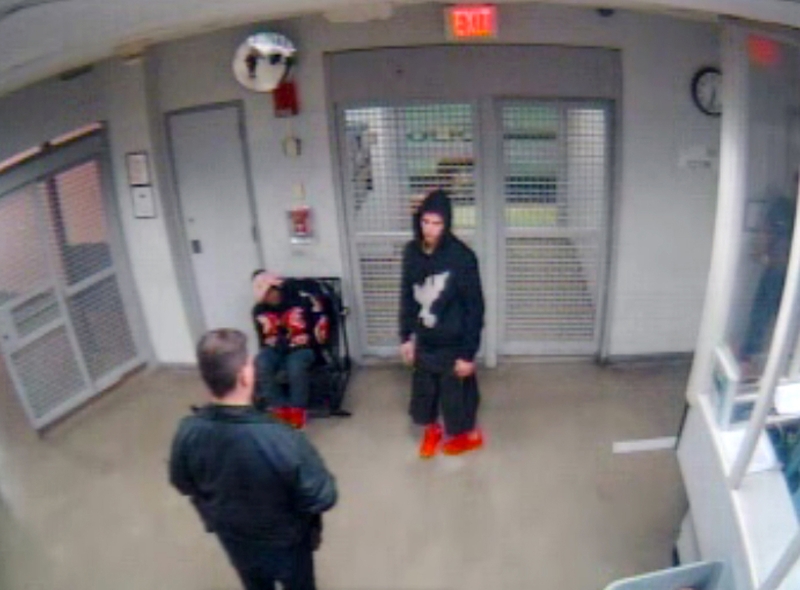 Miami-Dade County prosecutors released about 10 hours of video Wednesday, only a few moments of which depicted Beiber. In one clip, Beiber wavers as he tries to walk heel to toe, then stumbles slightly as he turns and appears to have his arms out for balance. The video was sought by the Associated Press and other media organizations under Florida’s public records law. Bieber has pleaded not guilty to driving under the influence, resisting arrest and invalid-license charges following his Jan. 23 arrest.